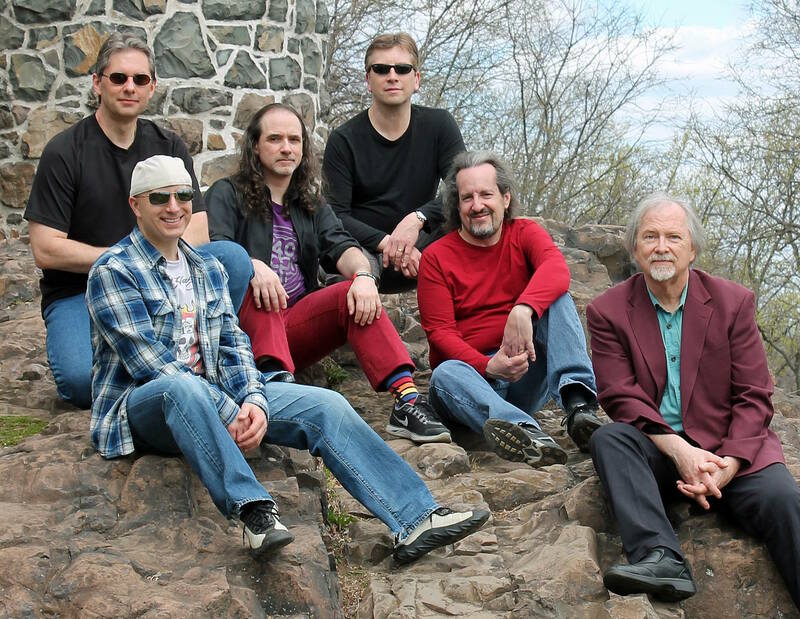 As the band’s own bio attests, Advent is something of a “modern equivalent to the symphonic side of classic English progressive-rock groups” – memorable, hallowed names like Gentle Giant, pre-Collins Genesis, Procol Harum, and Camel amongst many others. There’s Canterbury in their music and there’s psychedelia; there’s 60‘s and 70‘s prog, and even more contemporary flavors. Overall, Silent Sentinel boasts a symphonic, dreamlike quality, and its high lyrical content and thoughtful, even regal musicality elevate this album to well-deserved status as a true piece of art. In and of themselves, the six multi-instrumentalist members of the band form a small, self-contained orchestra: Henry Ptak on keys, mandolin, percussion, and providing lead/backing vocals; Alan Benjamin on guitars, bass, violin, mandolin, recorder, glockenspiel, keyboards, percussion, and backing vocals; Mark Ptak on keyboards, percussion, and lead/backing vocals; Greg Katona on guitars and percussion; Joe D’Andrea on drums, percussion, and also lead/backing vocals; and Brian Mooney on fretted and fretless basses. Though the band outsource for some additional percussion, strings, and vocals, their expansive in-house toolbox enables them to be far more hands-on than the average band, and renders Silent Sentinel a lush portfolio of intriguing sounds and designs. Another element that strikes me is the vast amount of space that exists on this album. Of Sentinel’s 77 minutes of music, nearly a full 30 to 35 of those minutes are instrumental, and those numbers don’t include the extended interludes in songs with vocals. Of course, most progressive rock bands have instrumentals – often long ones. That’s not unusual. However, said instrumentals are also typically jam-packed with layers of synth, overwrought instrumentation, and strenuous complexity. Advent deliberately avoid that trend by sacrificing convoluted intensity for melody and atmosphere. Sentinel’s sparser moments in no way bely their creators’ ingenuity: to the contrary, they exemplify what can happen when artists are willing to let their compositions breathe. I particularly love uncluttered prog like this for its intentionality. 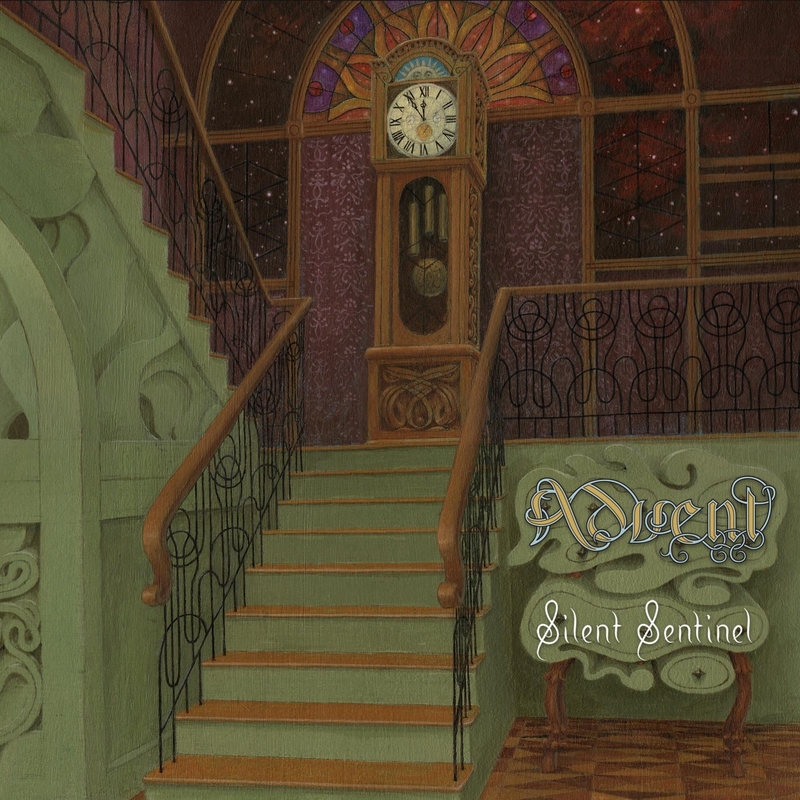 Released 11 August, Sentinel is Advent’s third studio release and is what the band refer to as a “near-concept” album. This loose abstraction seems to reside somewhere in the Shakespearian account of Macbeth’s exploits, with references to Dunsinane (the “hill of the ants” in Gaelic and the locale of Macbeth’s defeat at the hands of MacDuff), as well as to “a thousand Banquos” (Macbeth’s ally and victim in his quest for power), and finally to “Birnam’s verges,” or the “Great Birnam Wood” of the hags’ prophecy. In the words of the third apparition that the witches summon in the text – the “Child crowned with a tree in his hand” – “Macbeth shall never vanquished be until / Great Birnam wood to high Dunsinane hill / Shall come against him” (Macbeth 4.1.92). When MacDuff cuts down and decapitates Macbeth, it is at the front of the English army, who march against Dunsinane, shielded with boughs cut from the Birnam forest. Furthermore, the tripartite “On the Wings of an Ant” seems to play off the literal translation of Dunsinane’s meaning – displaced ants swarming listlessly from the castle hill. All this taken into consideration, alongside the album’s self-titled centerpiece, the album seems to point toward a time-honored call to action – more precisely, waiting for the call to be answered by someone. The Sentinel patiently waits for a response. I’ve listened to the 24/96 audiophile mix of the album, which combines Sentinel’s first two songs, “In Illo Tempore” and “To Dunsinane,” into one track for gapless digital playback (the same treatment was given to tracks 12-14). The mystical introduction of “In Illo Tempore” (Latin for “in that time [long] past”) is measured by the steady ticking of a grandfather clock – the silent Sentinel himself, the metronome of life – which carries the listener back to the times of yesteryear. “To Dunsinane” establishes itself with a military cadence, woodwinds, organ, and fiddles (performed by Ben Harrison). The track’s dutiful stride is reminiscent of ELP’s “Jerusalem,” and both pieces bear the semblance of a battle hymn for vanquishing evil. Verse One of the “On the Wings of an Ant” series immediately follows this opening anthem. Though it was originally conceived as one long piece, “Wings” seemed to work better for the album broken into three separate verses for Silent Sentinel. Typically, the metaphor of the ant seems to be symbolic of dedicated labor (à la Proverbs 6.6); in this three-chapter sub-plot, however, the imagery is turned on its head: Verse One hints at a forgotten, unresolved dream: “Lost for awhile, thoughts at play, moving on the wings / Of an ant in flight.” Verse Two, which follows on the heels of “Reloj de Sol,” continues the same train of thought: “In my room, in my place, silent and secure / I can feel my soul, myself sinking into night.” The series’ finale (the album’s 12th track) seems to offer no positive resolution: “Now alone, themes return, music, mine the score / Each event remains, every rest leaving by the door / More than silence can ever fill / Sometimes the sense of it all / Keeps haunting me still.” Each verse of the comprehensive ballad, approximately two-and-a-half minutes in length apiece, features varied instrumentation and structure, though the vocals of all three components utilize the same melodic elements: Verse One is spacious, keys-based with shimmering guitar inserts; Verse Two has an almost hymn-like structure, involving primarily acoustic guitar and organ; Verse Three concludes the series with lush synth layers and more full-band instrumentation. “Voices from California” is probably the closest thing to a “single” Sentinel can boast. The first half of the tune contains the composition’s lyrical content – targeting the whimsical nature of Hollywood: “a magic place of warmth and harmony / Soaring forever” – while the latter portion moves through several instrumental ideas. “California” is succeeded by a pair of Alan Benjamin instrumentals: “The Uncharted Path,” a guitar-and-keys piece that moves through strong, rhythmic sequences of 5/4, and “Reloj de Sol” (Spanish for “sundial”), a lush acoustic guitar duet between Benjamin and Katona that waltzes in 3/4. Katona noted in a bemused post on the band’s Facebook page that, although the song retains its initial time signature for its duration, there is “(in true prog fashion) one bar of 2/4… that came organically out of the phrasing of the music… [and] falls on measure 45, the song’s exact midpoint.” Largely due to the fact that a sundial’s gnomon (i.e. the piece that juts up from the dial’s disc and casts its shadow) is at a 45 degree angle with the base, and partly to some Latin-style guitar plucking, the title is immensely appropriate. As it rightly should, Sentinel’s title track attempts to unite a number of the album’s loose thematic ideas into its “near-concept”: namely, that time – as the “forward, watchman… never look[ing] back” – calls to humanity to resume some long-forgotten task, to remember the universal command to “Shoulder up, and forward march!” (given back in “To Dunsinane”). In many ways, perhaps this cry is a call for mankind to assume the responsibility of marching against tyrannical, power-hungry rulers; in another sense, perhaps it is the simple call to awaken from the media-hungry stupor which the “voices from California” have lulled us into. The rallying call seems to be pointed at those who, unlike the forward-facing Sentinel, ignore the “old polyphonies [that] keep retaining truth’s preserve” and remain debilitated, “ponder[ing] the moment… and [savoring] the chill.” And, as the “Sentinel’s Reprise” two tracks later hauntingly attests, deceptive evil remains and must be conquered: “Lambs now find themselves applauding / As wolves in their midst still marauding / Preside.” At 19 minutes’ ponderous duration, “The Silent Sentinel” epic comprises the bulk of the album, meandering through elongated instrumental sections and a “reminder of four final things” – cryptic lyrics that connect backwards to the album’s earlier tracks, and forwards to its latter compositions (that is, from “Illo Tempore” – time long past – to “Aeternum” – eternity). Another brief yet fast-paced instrumental, “12/12” (perhaps so titled for the pair of 12-string acoustic guitars which comprise its instrumentation) separates the epic and “Sentinel’s Reprise: The Exit Interview,” the latter being a very Gentle Giant-inspired piece of writing, featuring a solo soprano performance by Thérèse Ptak that soars above the band’s rich vocal work. “Second Thoughts,” which follows on the heels of “Interview,” is yet another gorgeous and carefully orchestrated Benjamin-Katona acoustic guitar duet, showcasing each musician’s nuanced playing techniques – utilizing everything from careful harmonics to sweep picking to carrying Baroque-esque contrary melodies across instruments. Tracks 12-14, “On the Wings of an Ant (Verse 3)”, “Full Moon and Empty Hours,” and “Riptide in Aeternum,” are combined into one 7-minute track in the audiophile mix. This final Verse of the “Wings” series concludes with an immediate shift into the eerie strings and organ of “Full Moon and Empty Hours.” Starting here, the lattermost compositions on the album are a series of three elongated instrumentals. Tenuous “Full Moon” features strong keys, organ, and guitar work. “Riptide in Aeternum” fades in on driving bass and guitar, carries through a soulful organ-and-guitars interlude, and ultimately comes to a percussive conclusion with tribal drums. “Romanitas,” the album’s final composition, achieves status as Sentinel’s second epic-length tune, topping 12 minutes’ duration. After some profoundly anthemic guitar work and tongue-in-cheek, muzak-style breakdowns – rendered in alternating measures of 3/4 and 2/4 – the song’s final moments bring the album full-circle, recalling the strings of “In Illo Tempore” and “The Silent Sentinel,” overlaid in this final iteration with distant, choral-style vocals. I’d be remiss not to once again make mention of the exquisite poetry contained in Sentinel’s lyrics. Largely the work of Henry Ptak, the album’s thematic content is a hybrid of band-written lyrics and adapted poetry from a friend of the band, wordsmith Arthur Hoffman (songs from Advent’s first and second albums also utilized the poet’s verses). Some might consider Sentinel’s style of prose unnecessarily boisterous and flowery – exactly the kind of pretentious, over-the-top nonsense that makes them dislike the progressive genre. I would argue that the overall tone of the album matches its intent: big moral themes, an overarching continuity, and a level of literary and musical intelligence that would be cheapened by simplistic, modernized lyrical content. Silent Sentinel boasts a richness that not much modern prog (and even much older prog) can rival: the impressive thematic scope and soaring vocal caliber of a Fragile or a Topographic Oceans (less some typical YES wackiness); the polyrhythmic complexity of Giant’s Octopus; and the diverse, spacious orchestration of Gryphon’s Red Queen – all rolled into one memorable opus.